Photo shows the Church with several gondolas in the foreground. I was walking Venice in the morning before the large crowds show up. 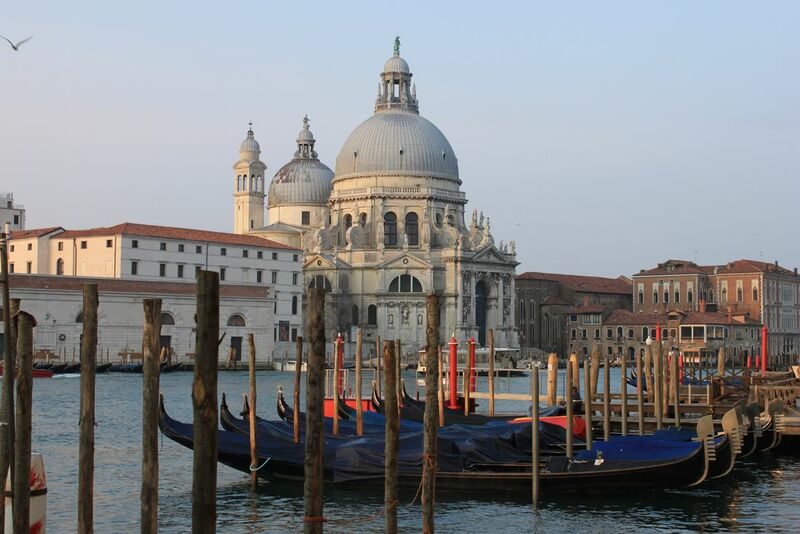 I stood looking around and I saw how the Church was standing in the background and how the color of the gondolas was striking.